The Halley Academy staff and students are celebrating successful outcomes for results in both A Level and Level 3 Vocational Programmes. This is the first year the academy is part of the Leigh Academies Trust and as such the staff and students are delighted to be celebrating alongside other academies within the Trust. 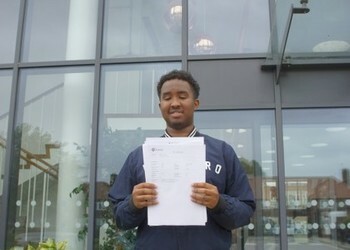 A Level subjects which were particularly successful included Art & Design, Business, Maths and Psychology. 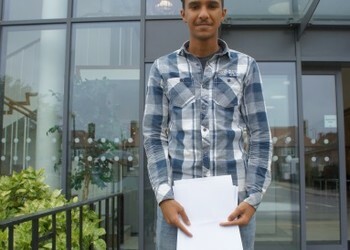 Vocational programmes at the academy once again had impressive results with 100% pass rates across the entire range. Applied Science, (L3 BTEC), students gained average grades of D*DD, Performing Arts students gained average grades of Merits and all Sports and ICT students were equally successful. Engineering performed well, once again with 100% pass rate, with students achieving Distinctions and Merits. We would like to congratulate all of our students and staff for their hard work over the past two years. 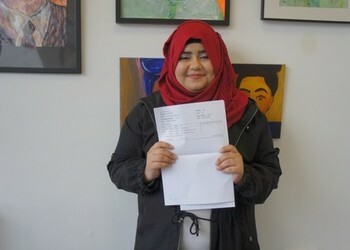 Notable students include Sakariye Ahmed with an A, B and C in Engineering and Maths, Samira Ali with A, A, A in Applied Science, Moses Bakare with B, B, B in Engineering and Maths, Tasma Crosby with A*, A, A in Applied Science, Ruth Ibidapo and Zarmina Mohamadi both with A*, A*, A in their Applied Science, Magdalena Mrozek with A, A, A, B, C in Polish, Art & Design and Applied Science, Courtney Porter with B, B in Maths and Economics, Mohamed Sulieman with A, B in Engineering and Praise Phillips A*, A, A in Applied Science. 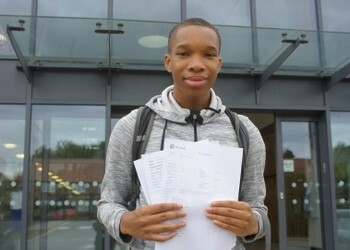 Praise Phillips is looking forward to studying Biomedical Science at Surrey University.